Herbal Adjustment -(LIQUID OR CAPSULES) Stimulates brain function. * (Black Cohosh, Blue Vervain, Capsicum, Indian Tobacco, Siberian Ginseng). HERBAL ADJ. (Adjustment) - Is is a quick acting dramatically effective procedure for relief of headaches, leg cramps, menstrual cramping, arthritic discomfort, sports injuries, back discomfort, neck and shoulder tension, heart attacks, strokes and internal bleeding. * For relief of pain and cramping two liquids are applied to the skin, one is Peppermint Oil which is cool and the second is a combination of herbs known as Herbal ADJ. which is hot . The Peppermint oil is applied first and the Herbal ADJ. second. The procedure of using these two liquids together is called an "Herbal Adjustment". In some cases, as given here, Herbal ADJ. is also taken internally and will be described individually. This procedure will not interfere with medication and will not make a person "groggy". Needles and injections are not used. * HEADACHES AND TENSION - For headaches, apply 1st Peppermint Oil from the tip of the tailbone, up the spine, and on to the neck and the back of the head, on the scalp, and on up to the top of the head. Make the application about the width of the person's hand. Next, apply the two liquids to the temples and forehead. Have the person lean the head back so as to avoid getting any of the liquids in the eyes. (Should an accident occur, flush thoroughly with water, remain calm and peace will return.) Also apply to any additional areas of the head which are hurting. Finally, apply in front of and behind the ears, down the neck on both sides and out to the shoulders. This complete application will have an effect on the entire nervous system of the body. The affects are quick and relief is swift. Repeat as needed. For additional help, if needed, put 40 to 80 drops of Herbal ADJ. in a cup of water and drink it down. Do not sip as it is hot and best to get it over with as soon as possible. If a mild headache is in progress, usually an application of the two liquids to the temples, forehead and back of the neck are all that is needed for headache relief. * CHIROPRACTIC ADJUSTMENTS - The Herbal Adjustment liquids penetrate quickly into troubled areas. After application the liquids at once relax the nerves and muscles, which then allows the bones to go back into their proper places and the circulation resumes its normal function. In this way oxygenation and relaxation of cramping muscle pain is alleviated. 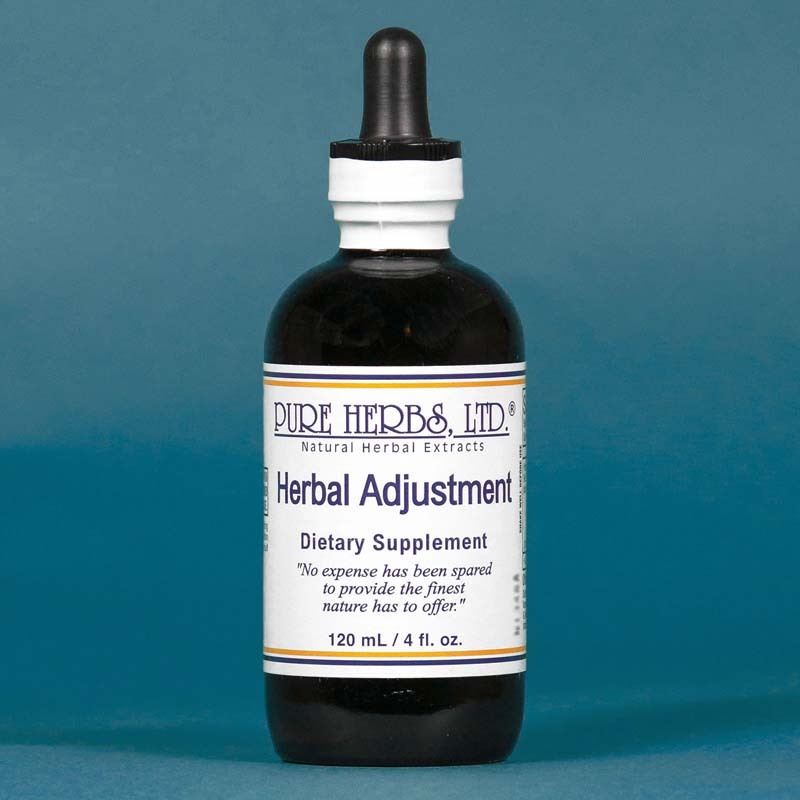 The Herbal Adjustment liquids may be applied several times in extreme conditions and then repeated as needed. Do not get into eyes, and wash hands after application. Application before a chiropractic adjustment makes for a very easy and quick adjustment. It will be noted the adjustment is speeded up and "sticks" (stays in place) far longer. * ARTHRITIC DISCOMFORTS - For arthritic discomforts the two liquids are applied to the area as needed. * CRAMPING AND MENSTRUAL CRAMPING - If cramping or menstrual cramping, apply the two liquids directly to the offending area. If additional help is needed put 40 drops of the combination Herbal Adj. in a cup of water and drink it. (Herbal ADJ. will not stop a normal menstrual flow as it is a natural bleeding.) Repeat as necessary. * HEART ATTACKS, STROKES AND INTERNAL BLEEDING - To stop a heart attack, stroke or internal bleeding put 40 to 80 drops of the Herbal ADJ. in a cup of water and drink it. Also, apply to chest and neck or area(s) of bleeding. * Repeat as needed. If stress is great and a heart attack is a real possibility while you are trying to repair the heart with other herbs such as Myrrh and Mullein,* (and or others, see: HISTORICAL USES OF HERBS at the beginning of this work) use Herbal Adj. to keep yourself alive during the process even if it takes months. Lives have been saved by doing this. * "LIVER SPOTS" - Or "age spots", as they are also called, dissolve easily with the continued daily application of Herbal Adj. on the spots. Please consider that in some way, the body is not functioning as it should or these "liver spots" or "waste dumps" of concentrated pigment, would not have appeared in the first place. If they do occur again, then think in terms of improving overall health as needed, such as digestion and bowel elimination, to start with. * For suggestions consult the HISTORICAL USES OF HERBS in the front of this work. (Remember to follow the advice about not rubbing your eyes after application of Herbal Adj. or bringing Herbal Adj. into contact with private areas. If an accident, then follow the advice as given earlier in this topic. )* SKIN CANCERS - It must be observed, to be truly appreciated, how the daily and persistent application of Herbal Adj. externally to skin cancers, dries them up, causes them to fall off and leave healthy, pink skin in their place. This process can take as little as a matter of days or two weeks and, in some cases, up to six and nine months or more, but it does work. * It is suspected that when Herbal Adj. takes so long to do its job, that it is working on a problem much deeper inside the body, of long standing, and you are working on something more than just skin deep. Never-the-less, praise the Creator, it does work. Persistence is the key here, no matter what, continue the application at least once per day and for more desperate conditions, three and four times per day until results. Before you heal anything you usually have to slow the condition down and then stabilize it. Then reversal can take place. But, in the meantime, you are not getting any worse and that is a kind of victory too. Many Practitioners also use Vitamin E Oil from capsule(s) on the area first and then apply Herbal Adj. on top of that. This reduces any possible irritation and assists in repairing the area more quickly, with the prevention of any possible scar tissue. * SPORTS INJURIES - For sports injuries such as sprains, twists, bumps, bruises, torn tendons, ligaments, etc., apply Arnica to the area to take the physical shock out of the nerves, then Peppermint Oil and then Herbal ADJ. to the area for relief of pain and to correct the circulation. Then, apply the repair formula OL' #11 (See: OLD #11) to start the repair process. This is done as soon after the injury as possible. Repeat every 3 to 4 hours as needed. However, it should not be thought that this procedure will not tackle chronic and old injuries with equal determination, because it will. The night procedure for sports injuries is to open capsules of 100 i.u. of Vitamin E (i.u. 's = International Units, meaning a system of measurement for the amount of a liquid vitamin) and apply the oil to the injured area. Then, soak a natural fiber cheese cloth or gauze with the repair formula OL'#11 and wrap the area with the cloth. The larger the wrap, the greater and quicker the affect. Wrap this then with plastic sandwich wrap, and an additional cloth wrap around this, to hold everything in place for the night. This procedure forms a thermal and moisture barrier, to drive the herbs into the area and pull poisons out, in a time-release action during the night. 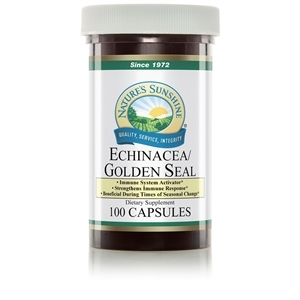 The herbs are driven into the body, congestion is broken up, swelling reduced and function restored. There is a two-way traffic flow here. Herbs are pushed into the body area and poisons are pulled up and sweated out of the body at the same time. The next morning remove the application and discard the herbal cloth as it is "spent" and contains poisons. Wash the area and allow to dry. Note: This process of applying an herbal tea or herbal extract to the body soaked in cloth is know as a fomentation (foh'-men-tay-shun). For the daytime, apply the herb Arnica, Peppermint Oil and Herbal ADJ. every 3-4 hours. Repeat this daytime and nighttime process until the area is repaired. * LOWER HIGH BLOOD PRESSURE - To lower dangerously high blood pressure, put 40 to 80 drops of Herbal Adj. and 40 to 80 drops of Golden Bough in a cup of water and drink it. Repeat as needed. * COMBINATION:Black Cohosh, Blue Vervain, Capsicum, Indian Tobacco, Siberian Ginseng. DOSE:As given in the above work. Additionally, Herbal ADJ. can be given as part of a daily herb regimen, to "spark" an herbal program and get it to work, at the rate of 40 drops in a cup of water, 1 - 4 times per day. NOTE:Just the Herbal ADJ. combination is put in water to make the drink. If a Peppermint tea is desired, only 1 - 2 drops of the oil to a cup of water makes a good tea.